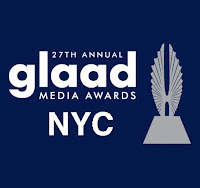 In this exclusive audio montage Emmy Winner Charlotte Robinson host of OUTTAKE VOICES™ talks with celebrity activists and allies on the Red Carpet at the 27th GLAAD Media Awards in NYC. First we spoke with Jackson Riemerschmid the teen who made news by leading the successful effort to eliminate the binary system of purple graduation gowns for boys and white gowns for girls at New Rochelle High School in New York. Next we talked to Tracey Norman who’s best known for having been the first African-American transgender woman model and for appearing on a box of Clairol in the 1970s. Then we talked with Sarah Kate Ellis, CEO & President of GLAAD about issues facing our LGBT community and what projects GLAAD is working on to create more diversity in mainstream media. Next director Eric Schaeffer talked to us about his film “Boy Meets Girl” which stars Michelle Hendley as a transgender woman living in a small town in Kentucky looking for love that was nominated for a GLAAD Award. Then we chatted with trans teen advocate Nicole Maines who made her acting debut as a guest star on USA's “Royal Pains”. Nicole won the landmark case in the Maine Supreme Court in 2014 against her school district for preventing her from using the school’s girls restrooms that ignited the regulations issued by President Obama and his administration as well as the U.S. Department of Education for issuing new guidelines to ensure transgender students will be treated fairly in public and federally funded schools, including equitable access to facilities such as restrooms and locker rooms. Next gender queer advocate Jacob Tobia and Daniella Carter who appeared on the documentary The T-Word both talked to us about the broad spectrum of our transgender community and the importance of uplifting our LGBT youth with love and support. 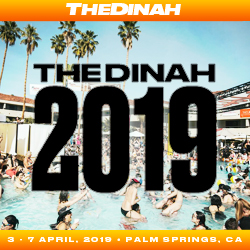 We were then joined by Jim Obergefell the lead plaintiff in last year’s historic Supreme Court case Obergefell v. Hodges that resulted in marriage equality becoming the law of the land. 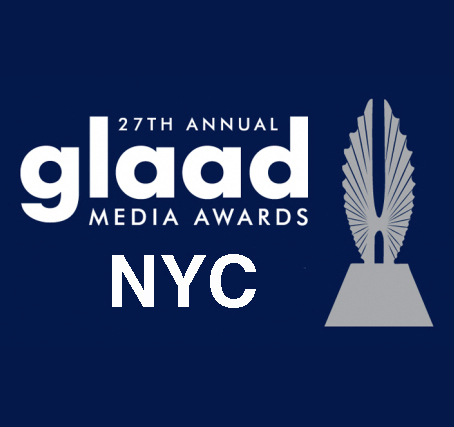 Jim won the GLAAD Award for Anderson Cooper's “Interview with Jim Obergefell” in the Outstanding TV Journalism Segment category. Then Kally Duling and Emily Skeggs who are currently appearing in “Fun Home” the 2015 Tony Award winning play stopped by to talk about their play and LGBT equality before performing at the GLAAD Awards. We were then joined by Jenny Boylan, Co-Chair of GLAAD’s Board of Directors who talked about all the crucial programs GLAAD is developing and her work with Caitlyn Jenner on the reality television series “I Am Cait”. Then we talked with Selenis Leyva about her role as Gloria Mendoza in the Netflix comedy-drama series “Orange Is the New Black” followed by Laura Gómez who portrays Blanca Flores a member of the Hispanic group also on “Orange Is the New Black” who both gave us a little insight of the direction of the upcoming fourth season. Next Darren Young the first openly gay WWE superstar wrestler talked to us about making a difference for LGBT youth and reminding us that LGBT equality is a process. Then we chatted with CNN political analyst Margaret Hoover who’s an LGBT rights activist, author and republican who attended with her husband John Avlon the editor in chief of The Daily Beast and also a CNN political analyst. Next Lea DeLaria who plays Big Boo on “Orange Is The New Black” talked about the show’s fourth season that premiers on June 17th and her spin on transgender bathroom legislation. 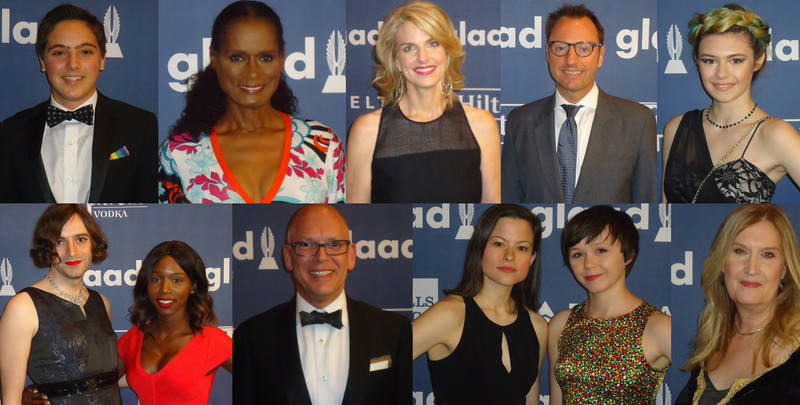 Always a very special Red Carpet as you capture so many LGBT and Allies voices, diverse and thought provoking. A most attractive array of activists and celebs. It was a blast!